Evening at Ballymaloe, County Cork. The oldest part of the building is a mid-fifteenth century tower house constructed by the FitzGeralds of Imokilly: this was enlarged in 1602 by Sir John FitzEdmund FitzGerald. The property was later briefly occupied by William Penn when he was sent to manage his father’s estates in the area, after which it was owned by the first Earl of Orrery. The house was much enlarged on two occasions in the 18th century to assume its present appearance. It also regularly changed hands over several hundred years until being bought by the Allen family who since 1964 have run the place as a restaurant and country house hotel. 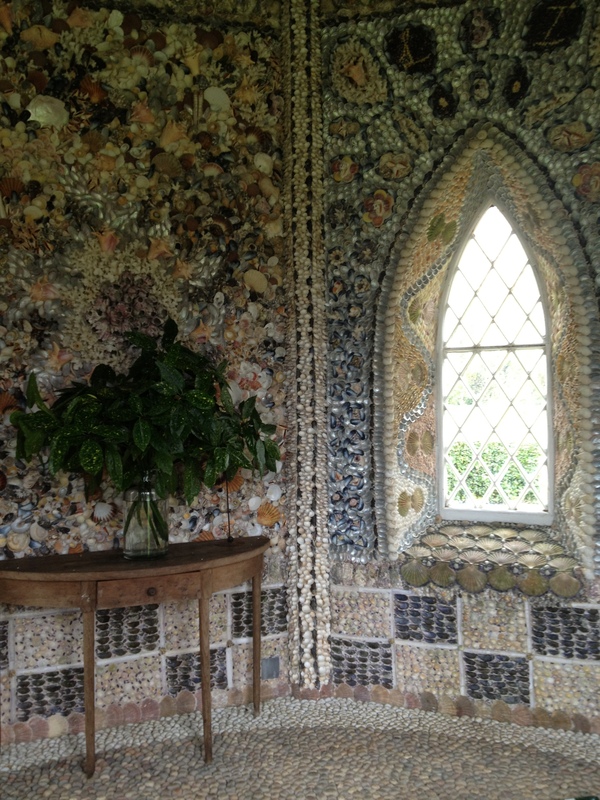 A corner of the Shell House in the gardens of Kinoith, County Cork, otherwise known as the Ballymaloe Cookery School. This charming octagonal structure was created by artist Blott Kerr-Wilson in 1995 to mark the silver wedding anniversary of Kinoith’s owners, Tim and Darina Allen. As you can see, the whole interior is covered in an enormous variety of shells, at least some of which – those formerly holding a mussel or scallop – passed across the tables of Ballymaloe House.